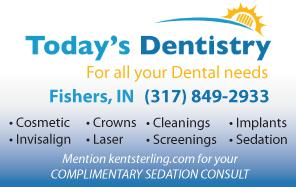 Tom Crean can speak for himself just fine, and doesn’t need an IDS columnist to do it for him. When did Indiana Basketball secure the state border in the first place? At no point in the history of the program has IU been able to simply choose who it likes from among the state’s best players. Connor Killoren of the Indiana Daily Student would like you to believe that Indiana has chosen to recruit nationally rather than locally. The truth is that Indiana basketball coaches have never batted 1.000 in attracting great players from its home state, and if they step outside the borders it’s not always because the grass is greener there. Before Glenn Robinson III decided to head for Ann Arbor to play for John Beilein, his dad chose Purdue over Indiana. Thirty years before Gary Harris pledged Michigan State, Plymouth’s Scott Skiles did the same thing. Mike Davis was never impressed with Indiana kids, nor they with him, so players like Greg Oden, Mike Conley, Rodney Carney, and Josh McRoberts all abandoned ship. Maybe Kelvin Sampson would have established a foothold, but he arrogance cost him a chance. The recent decommitments of Trey Lyles and James Blackmon from the class of 2014 weren’t the first and won’t be the last Indiana recruits to decide to look elsewhere as they check their options, regardless of who the coach is. What Killoren wrote is typical of the non-critical view people are taking of the Indiana Basketball program. It’s all roses and buttercups, rather than an honest look at reality in Bloomington. Justifications abound while reason is abandoned. This isn’t to say that Crean can’t or won’t win big in Bloomington with a national focus; he might. But to suggest that he has consciously decided to recruit kids from all over at the expense of Indiana kids is silly. Crean swung hard at Hamilton Southeastern’s Harris and lost to Tom Izzo. Harris is now projected to be a lottery pick in the 2014 NBA Draft. Mitch McGary wandered north to Ann Arbor, and helped Jim Beilein reach the NCAA Championship game. The latest Mr. Basketball from Indiana, Zak Irvin, is now also at Michigan, as are Indiana products Robinson III, Spike Albrecht, and Andrew Dakich. Brenden Dawson and Russell Byrd are Harris teammates in East Lansing. Hey recruiting Indiana is tough. Coaches from all over like to recruit Indiana for a very good reason – Indiana kids win. They are fundamentally more advanced, and have a higher hoops IQs than kids anywhere else. 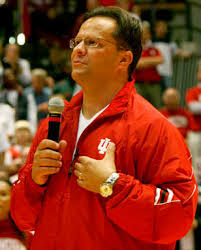 In no way am I saying that Crean should win every battle in Indiana, but to somehow assert that Indiana is now a national program by choice and that “securing the border” is something Crean no longer needs to focus upon is ridiculous. If that’s the best he can do in pointing fingers somewhere other than directly at Crean for the failure to win battles with Michigan, Kentucky, Michigan State, and other programs, he’s not doing a very thorough job as a Crean apologist. There are plenty of reasons Killoren could have cited before writing about the travel habits of teens, including – the four players in the 2013 class that are from outside of Indiana fit Indiana’s system better than Indiana high school players and throwing up a mythical fence to keep recruits from elsewhere out is as silly as thinking we can build one to keep kids in. Another is a picture of Victor Oladipo, whom Indiana fans seem to love just as they would a Lawrence North graduate. No one is going to win every recruiting battle, and maybe with the recent focus on raising the percentage of out of state students at Indiana University, it makes sense to reach beyond Indiana borders to recruit basketball players. I’m not critical of the strategy, just of the reasoning Killoren employed to avoid holding Crean and the program accountable. There is a lineage of great work done at the IDS by men like Bob Kravitz and Eamonn Brennan, who stood up to men like Bob Knight and Kelvin Sampson. Crean put together a top five recruiting class with two of six players coming from Indiana, and explaining the strategy that led to it really isn’t necessary. This entry was posted in College Basketball, Featured Story, Indiana Basketball, Indiana University, Kent Sterling and tagged Andrew Dakich, Bob Kravitz, Brenden Dawson, Connor Killoren, Eamonn Brennan, Gary Harris, Glenn Robinson III, Greg Oden, Indiana recruiting, Josh McRoberts, Mike Conley, Rodney Carney, Russell Byrd, Spike Albrecht, Zak Irvin on August 21, 2013 by Kent Sterling.